Invest in your home with a beautiful carpet, professionally installed by the carpet installation specialists at Clean Scene Pro. 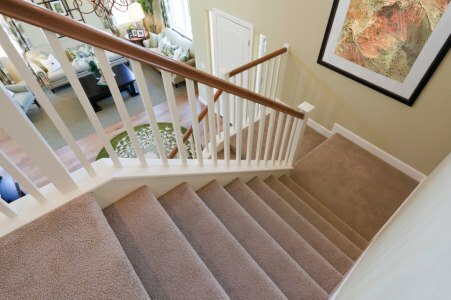 Whether you are looking for wall-to-wall carpet, single or multi-room installation, or stair runners, Clean Scene Pro will make sure your carpet installation goes smoothly for a beautiful result you'll be happy with for years to come. Call (678) 203-1929 today for a complimentary quote. Clean Scene Pro can make your home look like a million bucks with a durable and beautiful carpet, professionally installed by our carpet masters. Clean Scene Pro carries samples of every carpet we sell. Bring one or more samples home for viewing in the natural lighting of your own home. Treat your toes with a carpet that adds beauty and comfort to your home. Call (678) 203-1929 to find out how easy it is to transform your room from drab to fab. Clean Scene Pro has been in the carpet installation business since 2006. Carpet installation is an easy way to add a pop of color, touch of texture, or subtle sophistication to any room in your home. Carpeting can transform a room by creating visual interest with a bold geometric pattern, an elegant floral, or a soothing neutral. The sky's the limit. No matter what you're looking for, Clean Scene Pro has a carpet solution that will complement your lifestyle, decor, and budget. Call (678) 203-1929 to speak with one of our carpet installation specialists. Once you've chosen the perfect carpet, Clean Scene Pro's expert installers will precisely measure your installation area to make sure we are ordering the correct amount of carpeting for your job. We take care of ordering and delivering your carpet directly to your door. All furniture and other items are carefully moved. If necessary, we will remove your old flooring and prepare the subfloor. Our installers lay out your new carpet and padding then begin the installation process. Once the job is complete, our workers will clean up the project area and remove any carpet scraps and waste. Clean Scene Pro has been professionally installing carpet in homes and businesses since 2006. Call (678) 203-1929 for a free carpet installation quote.